Audi is offering free equipment upgrade packs to 191-registration buyers, which are worth up to €4,500 depending on the model you're buying. Available up to February 28th, the 191 sales event includes an A4 Style Pack, worth that magic €4,500 figure, which includes metallic paint, ambient lighting, heated front sports seats, comfort armrest and front parking sensors. 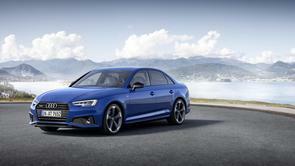 The Audi A4 Style Pack also comes complete with 18-inch alloy wheels on SE models and 19-inch alloys on the S line. Fancy a Q2 crossover instead? Well, good news; there's a Convenience Pack upgrade for that, worth €2,600, which comes with a panoramic sunroof, LED interior lighting, front and rear parking sensors and a rear-view camera. Oh, and if you fancy an automatic gearbox, have a ring-around, as some Audi dealers are offering a free auto upgrade on selected models. While the upgrade packs are available on familiar, existing models, Audi's also having something of a new-car blizzard for 191. There's the new A1 hatchback; the new Q3 SUV; the e-tron (Audi's first all-electric model with a 400km+ driving range); a limited-edition model of the Q5 SUV with a new 163hp diesel engine; and the A6, which launched last year but which is, effectively, a 191 model for most people. All of that can be bought on Audi PCP finance packages with interest rates starting from 2.9 per cent for the Q5 and A6.